Welcome to Apex Physical Medicine, conveniently located in the Belden Village Area in Canton, OH. Here, our professionals know that acute and chronic pain can be annoying, frustrating, as well as out right debilitating. Our team of providers across several disciplines (medical, chiropractic, massage, and rehabilitation) know and understand painful conditions, how to assess them, and how to get you back on track. Our philosophy is simple: Address the cause, Correct the dysfunction(s), and Restore Quality of Life. Our mission is to help our patients accomplish these goals in a painless, compassionate, and efficient way. We aim to educate our patients in a safe environment while offering them necessary comprehensive care. We understand that many people have anxiety about different types of treatment, so we created a soothing environment and an efficient system. We try our very best to get new patient's in fast, we try to avoid long waiting times, and we do what we can to expedite your care. By combining the latest technology with traditional techniques, we give our patients the best non-surgical care in the area. Dr. Blood is the Founder & Clinic Director at Apex Physical Medicine in Canton, OH. His duties include: patient examination, rendering clinical diagnostic impressions, implementation of treatment program, ordering proper diagnostic studies including x-ray, MRI, CT scan, and Nerve Conduction Studies; and proper referral for medical consultations if necessary. Dr Blood is a Credentialed Pain Practitioner by the American Academy of Integrative Pain Management: DAIPM, or Diplomate, American Academy of Integrative Pain Management. Dr. Blood is certified by the National University of Health Sciences to perform Manipulation Under Anesthesia (MUA). Dr. Blood is also a Fellow of the International Academy of Medical Acupuncture (FIAMA). Dr. Blood was born and raised in Canton, OH. He attended St. Thomas Aquinas High School in Louisville, OH and went on and received a Bachelor's of Science in Biology at Walsh University in North Canton, OH. After graduation, Dr. Blood moved to Daytona Beach, FL and attended Palmer College of Chiropractic where he received his degree of Doctor of Chiropractic. He graduated as Valedictorian of his class and received several other academic and clinical honors. Dr. Blood is married to Aubrey (Mastroine) Blood. They currently reside in Canton, OH. They have two children Evelyn and Ellie. Megan is Apex Physical Medicine's Nurse Practitioner. Megan performs extensive consultations, examinations, and functional evaluations to help determine the underlying cause of pain and dysfunction. Prior to joining Apex, she worked as a RN under Neurosurgeons where she found her passion in working with patients dealing with pain and limitations. She received her Masters with Family Nurse Practitioner specialty from Malone University in Canton, OH. Megan has recieved extensive training in physical evaluation and medical treatment/rehabilitation strategies as well as extensive training in injection procedures to help patients dealing with muscle and joint pain. She has a passion for working with indviduals to help reduce pain, restore function, and improve quality of life without the use of harmful drugs and unnecessary surgeries. Megan is married and has 2 children. In her spare time, She and her family enjoy traveling. Megan hopes to one day complete trips to all 50 states. Dr. Nate, recently joined our practice in January 2018. He has offered Chiropractic care to the Stark and Wayne county area's since 2007. Clinical proficeincies include: patient evaluation/examination, diagnosic interpretation, individual patient driven treatment plans, ordering diagnostic studies when warranted, and medical referrals as needed. Dr Nate is certified in the Graston Technique, a soft tissue mobilization technique utilizing stainless steel instruments. Dr. Nate also utilizes various other soft tissue/muscle techinques with his treatments. Treatment plans are patient centered and driven by the patients needs first and foremost. Dr Nate enjoys treating all patients; sports/atheletics of all types, geriatrics, children and newborns, pregnancy, and everyone in between including work and auto injuries. Dr. Nate was born in Massillon, OH and grew up in Canal Fulton, OH. He attended Northwest High School in Canal Fulton, OH. 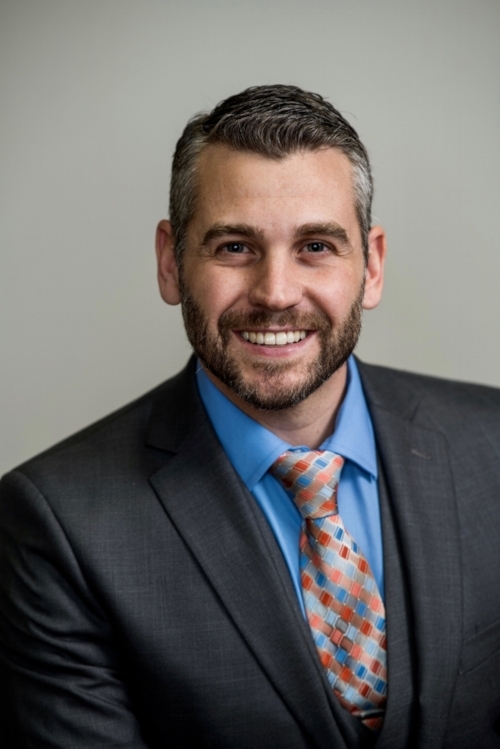 Dr. Nate also earned an Associates degree from Stark Sate and his Bachelor's degree in science and profession studies, BPS, from New York Chiropractic College (NYCC). Dr. Nate then attended New York Chiropractic College (NYCC) in Seneca Falls, NY where he received his degree of Doctor of Chiropractic in 2007. He graduated and received several other academic and clinical honors. Dr. Nate currently resides in Canal Fulton, OH and has twin daughters, Violet and Gracie. Dr. Nate enjoys spending time with his daughters and family, sports, and most outdoor activities. Dr. Franz is a board-certified physician in Family Practice. He is the Medical Supervisor of Apex Physical Medicine. He provides Medical oversight to Megan, our Certified Nurse Practitioner. Dr. Franz received his training at Lake Erie College of Osteopathic Medicine and completed his residency in Family Practice at Akron General. Dr. Franz has always enjoyed providing care for pain and injuries to the musculoskeletal system. He holds professional memberships in the American Academy of Family Practice (AAFP) and the American Medical Directors Association (AMDA). Dr. Franz resides in North Canton, OH. He is married and has 3 children. He is actively involved in coaching his children's sport activities. He has been inducted into his high school's Athletic Hall of Fame for his successes on and off the field.